Classic 90's gem from the original owner! 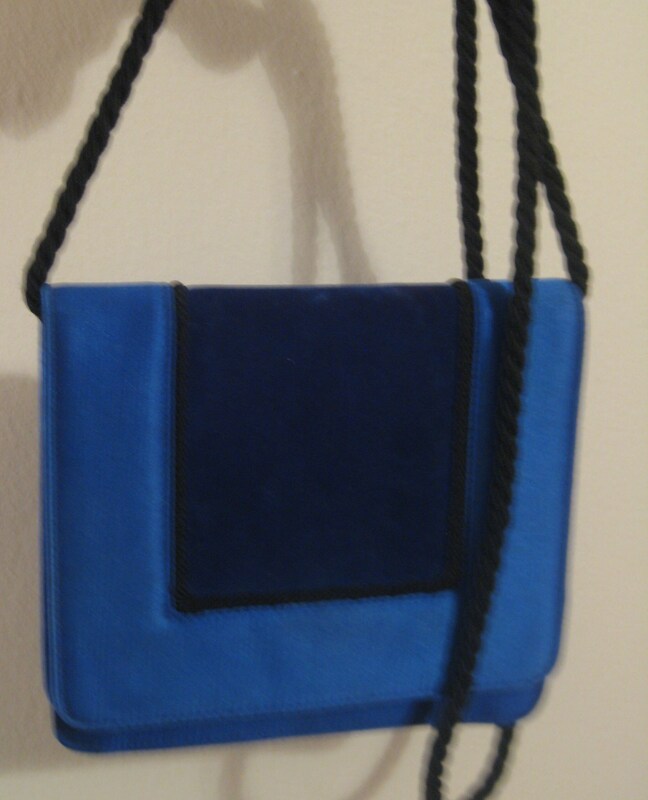 Two-tone blue Escada clutch with black rope shoulder strap (21 inch drop) that folds into the bag. 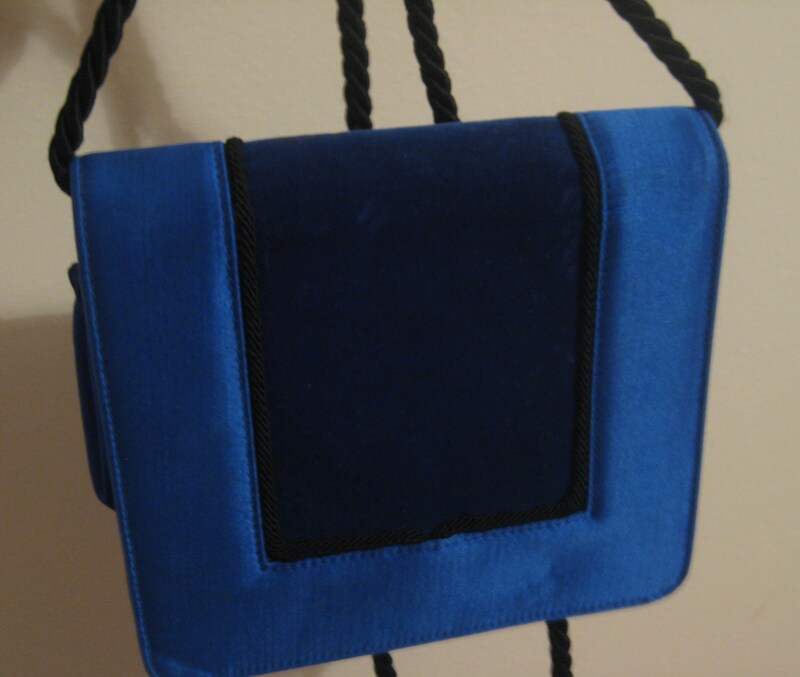 Blue silk fold over body with a Navy blue velvet center panel with rope frame. 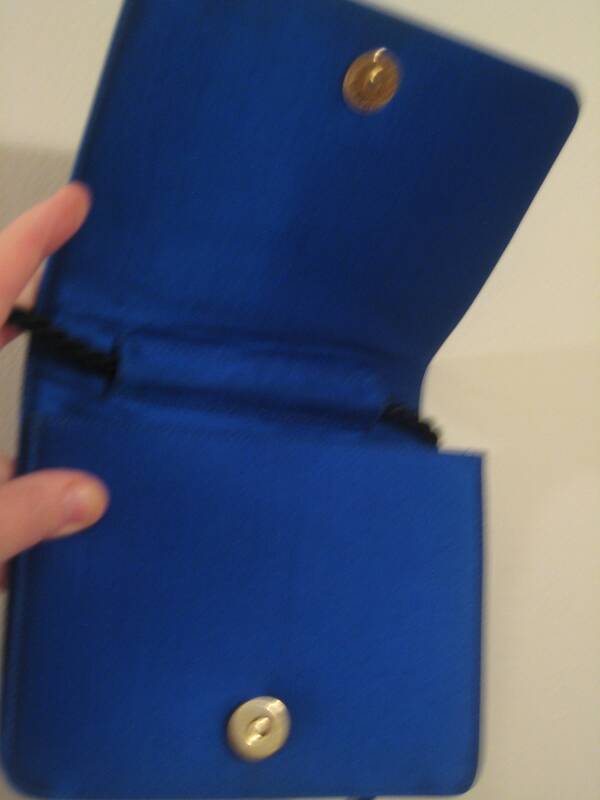 Accordion opening allows for cell phone lengthwise. Gold tone magnet closure. 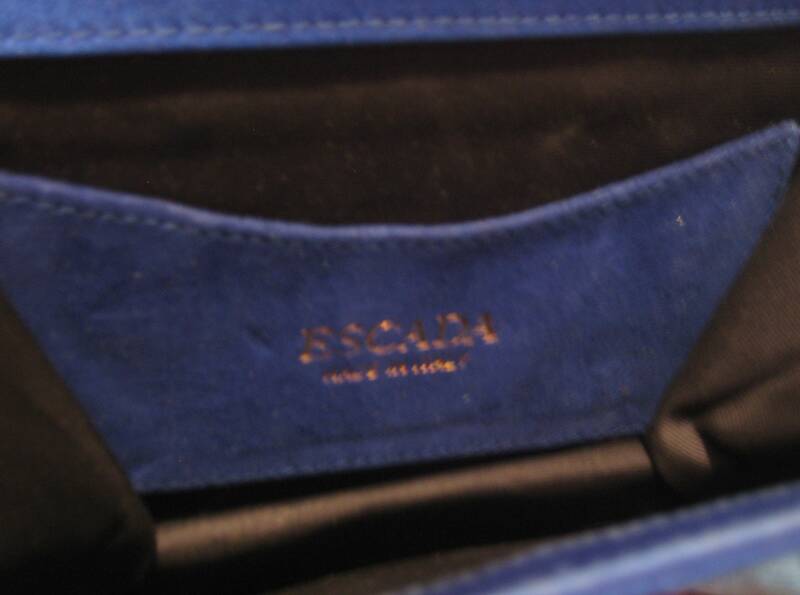 Blue silk interior with credit card slot and gold embossed Escada Made in Italy label. 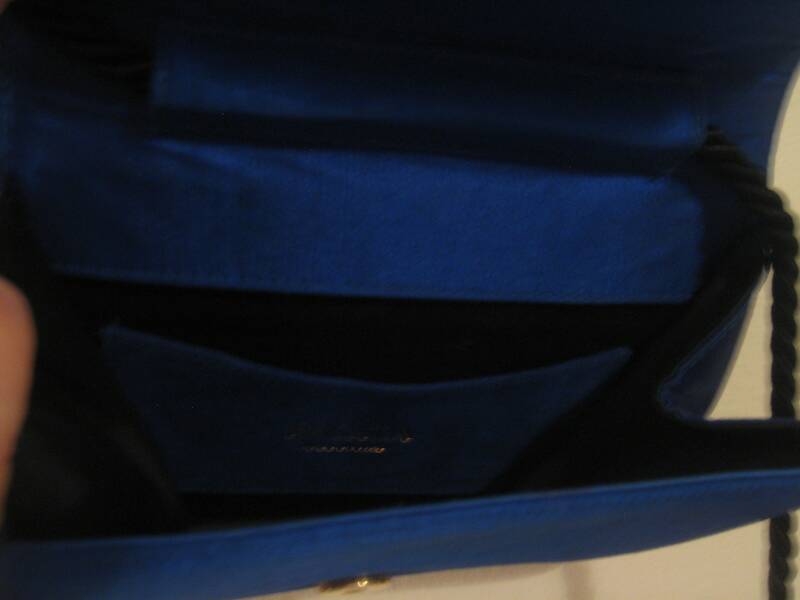 Amazing vintage piece! Dimensions: 6.25 inches long x 5.5 inches tall.